A marketing advisor for Israel and an analyst of a global market research provider are coming over to give the local industry some astonishing new perspectives on tourism at the forthcoming Philippine Travel Exchange (PHITEX) 2017. 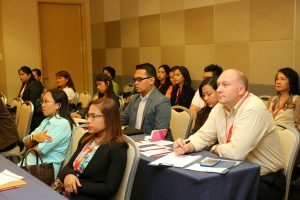 Senior tourism adviser and author Dr. Eran Ketter and Euromonitor International research analyst Jocelyn Cheung top the list of speakers at the PHITEX seminars for local sellers of tourism and travel packages. Co-author of several books on tourism marketing and media strategies, Ketter, will discuss Mitigation and Marketing in Times of Crisis, while Cheung will present the latest Tourism Trends and Forecast. Both seminars are geared at helping local tourism players increase their client capture and market share, and come up with a sustainable and effective long-term marketing plan. “Ketter’s presentation will prove that crisis in tourism is part of today’s new reality but there are strategies to overcome it and register growth,” said Tourism Promotions Board (TPB) Chief Operating Officer Cesar Montano. “Cheung, on the other hand, will show the phenomenal rise in global mobile travel sales and the emergence of Asia-Pacific as both the top source and destination for tourists,” Montano added. “Both emerging trends (in sales touchpoints and crisis preparedness) constitute a sound strategic basis for tourism development and market planning, which would enable local industry players to take advantage of the prevailing and evolving consumer mindscape and retail landscape,” Montano explained. He said many other surprising details of the current market realities would surface at the PHITEX seminars to aid the local industry in transforming data into useful information for strategic and tactical decision-making processes. The seminars, which will begin at 1:30 p.m. on August 31, virtually cap the one and a half days of business-to-business meetings between the foreign buyers and local sellers at PHITEX. The foreign buyers are coming from China, Korea, Japan, Taiwan, United States, Germany, Australia, New Zealand, Hong Kong, Malaysia, Singapore, Canada, United Kingdom, Middle East, Russia, India, and other European and Southeast Asian countries. On the other hand, the local sellers represent practically all sectors of the tourism industry. “We are bringing them (buyers and sellers) together to sustain global market capture, promote OTC (over-the-counter) sales in foreign countries, sustain our POS (point-of-sale) global market presence, and boost demand-driven tourism development,” Montano stressed.